Bioheat fuel is a blend of biodiesel and ultra low sulfur heating oil. It is a simple choice and a smart solution that results in a better fuel for your home and the environment. Biodiesel is produced from a variety of renewable resources, such as plant oils, animal fats, recycled grease, and even algae, making it one of the most sustainable fuels on the planet. And with biodiesel, you don’t sacrifice food for fuel. Oils and fats for biodiesel are a minor by-product of producing high-protein feeds (soybean meal) and quality meats. See the Fuel Sources section of this site for more details. Biodiesel is produced from a variety of renewable resources, such as plant oils, animal fats, recycled grease, and even algae oil, making it one of the most sustainable fuels on the planet. And with biodiesel, you don’t sacrifice food for fuel. Oils and fats for biodiesel are a minor by-product of producing high-protein feeds (soybean meal) and quality meats. See the Fuel Sources section of this site for more details. Biodiesel is produced in a chemical process called transesterification. 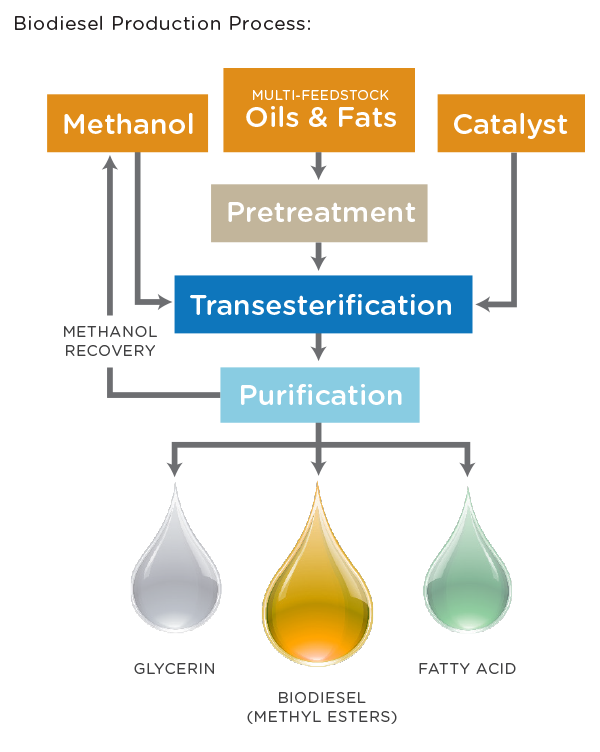 Methanol is reacted with the fat or vegetable oil feedstock to create gylcerin in biodiesel. The glycerin is sold for use in the manufacture of soaps and other household products. The remaining, purified methyl esters are in fact biodiesel. 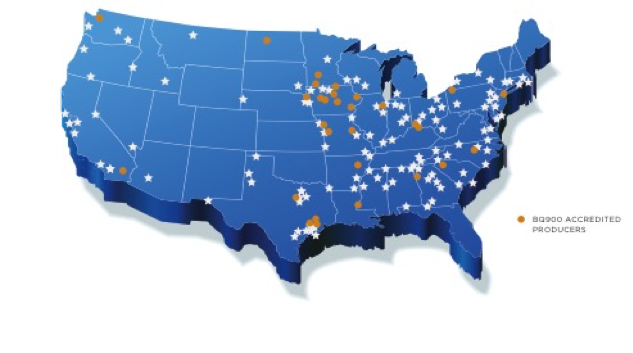 Independent production facilities across the nation are capable of producing more than 3 billion gallons of biodiesel a year, using a variety of feedstocks. It is readily available through your local heating oil dealer. U.S. biodiesel reduces lifecycle carbon emissions by an average of 80 percent compared to petroleum fuel oil, making it the best carbon reduction tool of any U.S. liquid fuel commercially available. How much biodiesel is in Bioheat? The trademark for blends of biodiesel with generic fuel oil is Bioheat® blends. Bioheat® blends are also commonly referred to using acronyms such as B5, B20, or B100–with B5 meaning there is 5% biodiesel with the remainder being petroleum fuel oil, B20 meaning 20% biodiesel and 80% petroleum fuel oil, and B100 meaning pure biodiesel. To make it simple for customers, the industry is commonly referring to Bioheat as the blends between 2% and 5% biodiesel, Bioheat® Plus is blends of B6 to B20, and Bioheat® Super Plus is blends over B20 up to B100. 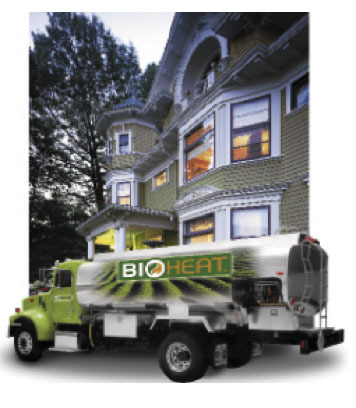 Bioheat blends are the future of heating oil and are taking the industry by storm. Dealers today are commonly delivering Bioheat or Bioheat® Plus™ blends, with some even delivering Bioheat® Super Plus™ blends. Please consult your dealer on the benefits of each, and on what type of Bioheat blend you would like for your home.